The 2018 Kia Optima proves that family sedans can be stylish inside and out. The difference between the boring Hyundai Sonata and the exhilarating Kia Optima is in the details. The exterior of the Kia Optima has features like a standard gloss black grill that gives the vehicle a more aggressive look. Also standard are heated power mirrors with integrated turn signal lights, which are a rarity in the Optima's class. The Optima even features standard tinted solar control glass to ensure the comfort of you and your passengers. The Sonata's exterior is far inferior. It features a wide front grill and head lights that give it an unstylish and fashion-backward look. Plus, its sloping and unattractive roofline takes away rear seat legroom. The Sonata's attempt at changing up its style was poorly executed at best, and a disaster at worst. The interior of the Optima is comfortable and well-equipped. It even spices things up with a dash of sportiness, as shown by the optional steering wheel mounted paddle shifters. The Optima's interior also features optional dual-zone climate control to ensure your round the clock comfort. The Sonata's interior, on the other hand, is the exact opposite. It's control center is cluttered and difficult to use, making it less than ideal for even the most tech-savvy drivers. Plus, the cramped interior makes for an uncomfortable and frustrating ride. Meanwhile, the Sonata features a bland design that fails to distinguish itself from the rest of the mid-size sedan market. Its unremarkable body bores even the most average of consumers. If you wish to truly stand out and turn heads, experience the stylish Kia Optima by taking a test drive at Southern Kia Greenbrier today. The 2018 Kia Optima is constructed with high-strength steel to withstand the force of an impact. It is also equipped with a full suite of safety aids which is unequaled by the Hyundai Sonata. The safety aids in the new Optima include Rear Park Assist, Blind Spot Detection, Lane Change Assist, and Rear Cross-Traffic Alert. The Sonata is equipped with a few of these features but cannot compete with the Optima when it comes to front crash prevention and rollover safety. It is abundantly clear that the best decision a driver can make for his or her family is to drive the safer and more reliable Kia Optima, as opposed to the less dependable Hyundai Sonata. The 2018 Kia Optima features a surprising amount of performance. The standard engine is a 2.4L 4-cylinder kicking out 185 horsepower. The Hyundai Sonata only boasts a 178-horsepower engine, making Optima the better choice with regard to performance. A fast and accurate 6-speed automatic transmission makes the most of this efficient engine. The suspension in the Optima provides a comfortable ride, but also sporty handling. The Sonata can't boast this rare blend of driving dynamics. If you want less excitement out of your ride, then the HyundaiSonata might be the car for you. However, those seeking a more lively ride can test-drive the Kia Optima at Southern Kia Greenbrier. The 2018 Kia Optima is full of cutting-edge technology to entertain and inform its occupants. Kia's proprietary UVO infotainment system features a 7-inch high-resolution touchscreen. Android Auto™ and Apple CarPlay™ are standard for optimal connectivity. A premium Harman/Kardon® 10-speaker sound system is optional for music lovers. The Hyundai Sonata's basic 6-speaker audio system prevents drivers and passengers from enjoying the smooth, full sound that Optima's speakers can provide. Plus, it's Blue Link infotainment feature is far more complicated to use than the Optima's easy-to-understand UVO system. Drivers who want to focus more on the drive and less on difficult-to-operate technology features should choose the Kia Optima. 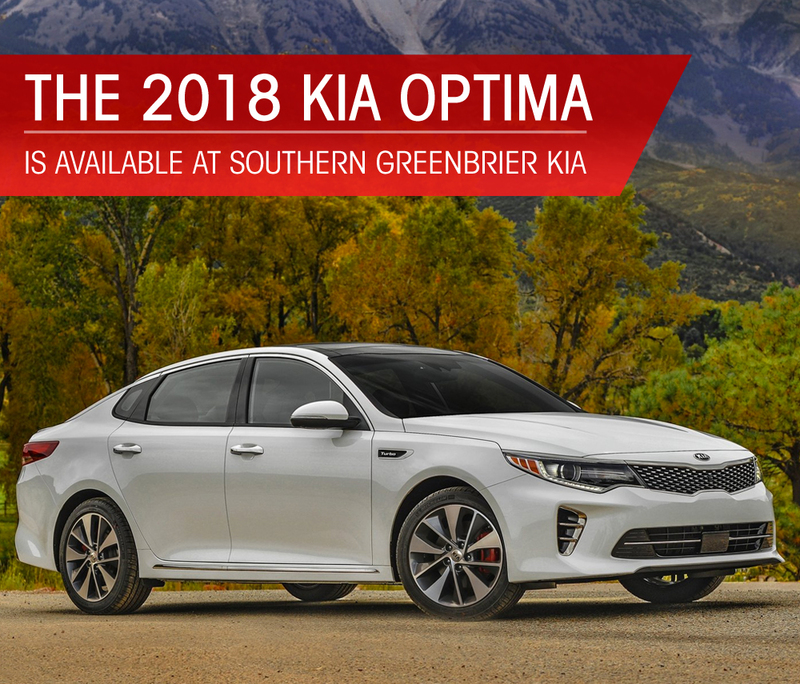 If you're in Chesapeake, Portsmouth, Suffolk or Newport News in Virginia or Elizabeth City in North Carolina, try out the tech in the new Optima at Southern Kia Greenbrier today.